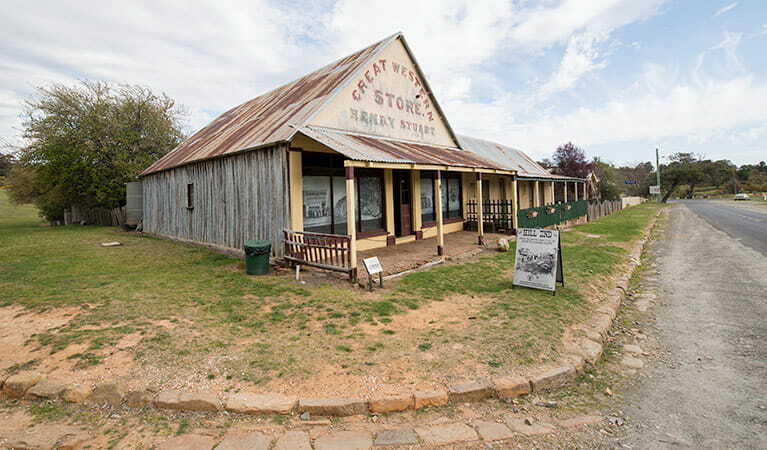 Stop by the Great Western Store on your visit to Hill End. 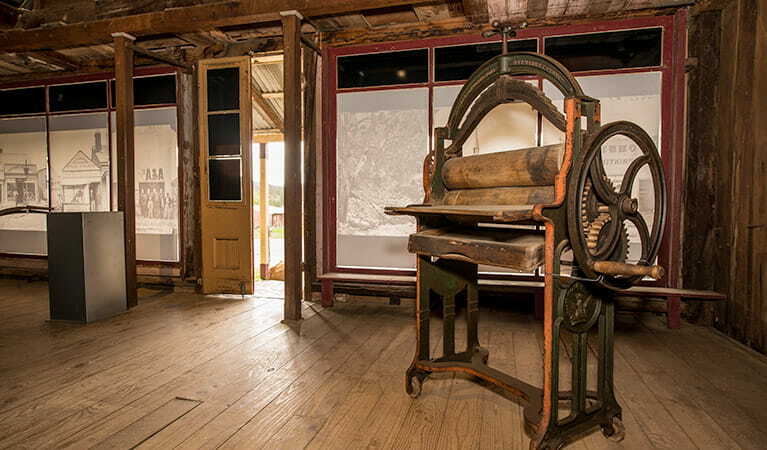 The rare photography collection on display offers a fascinating snapshot of life during the mining boom. During special events and exhibitions. 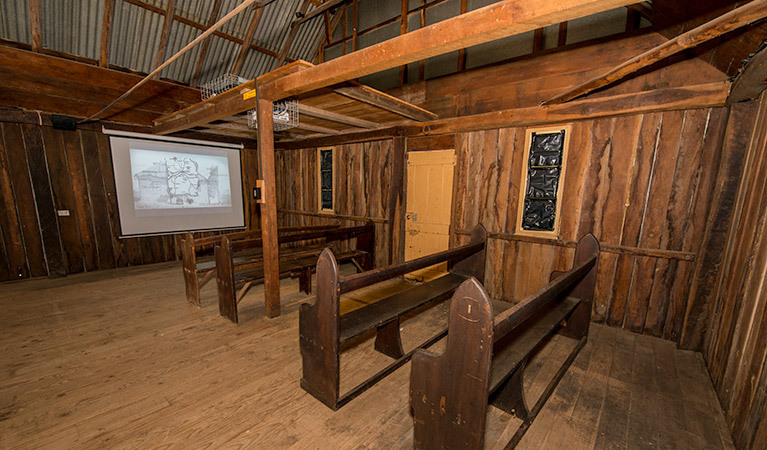 Contact the Hill End Historic Site office for more information. 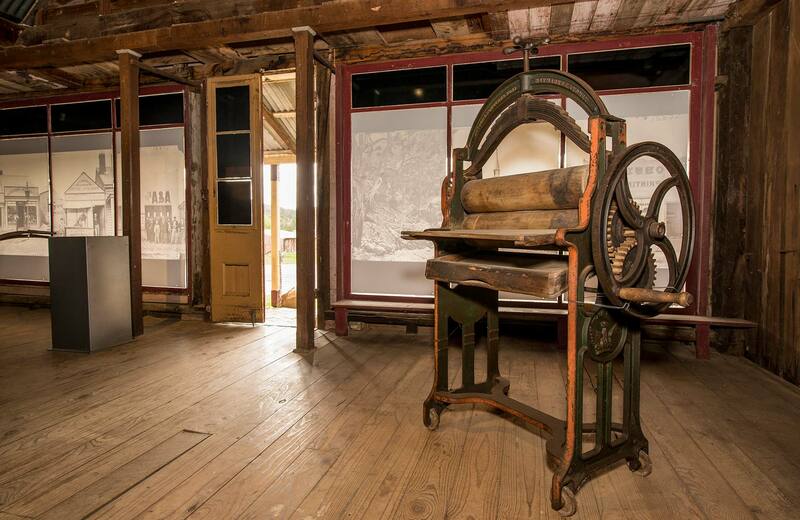 Step inside this original building and get a glimpse of what it would have been like during the heyday of the gold rush era. Imagine the daily chatter of miners looking for their fortune as they visit one of the few shops to be found along this section of Tambaroora Road. 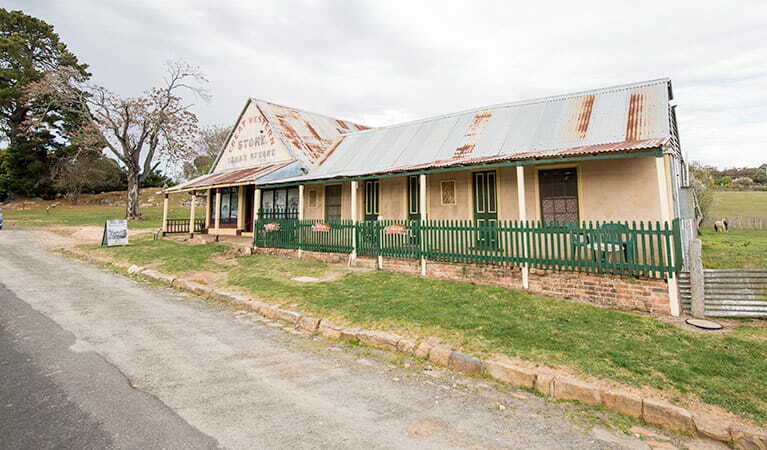 In its heyday, bullock teams travelling between Mudgee and Turon River packed the streets, and the sound of whips cracking as bullocks moved through town would have filled the air. 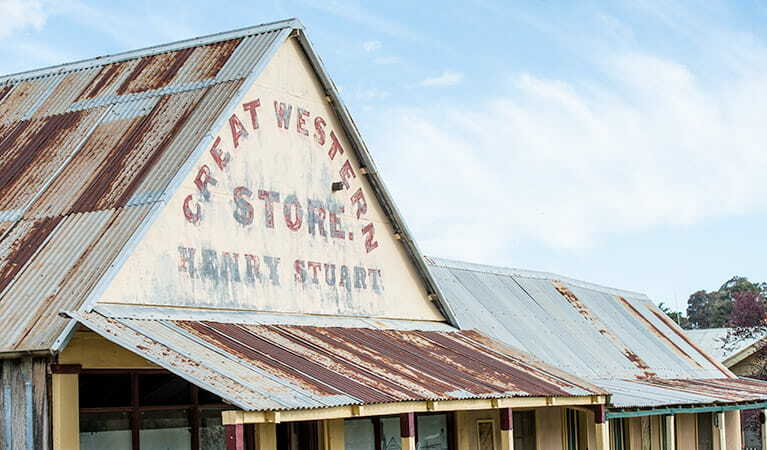 Great Western Store is home to a display of the 'Holtermann Collection', one of Australia’s most rare and significant photographic collections. These photos provide an incredible historical record and unique window into life during the gold rush times. Take a good look at the shots of the miners and you’ll see the hardship etched on their faces. Monday to Friday, 8.30am to 4pm. Closed weekends and public holidays.